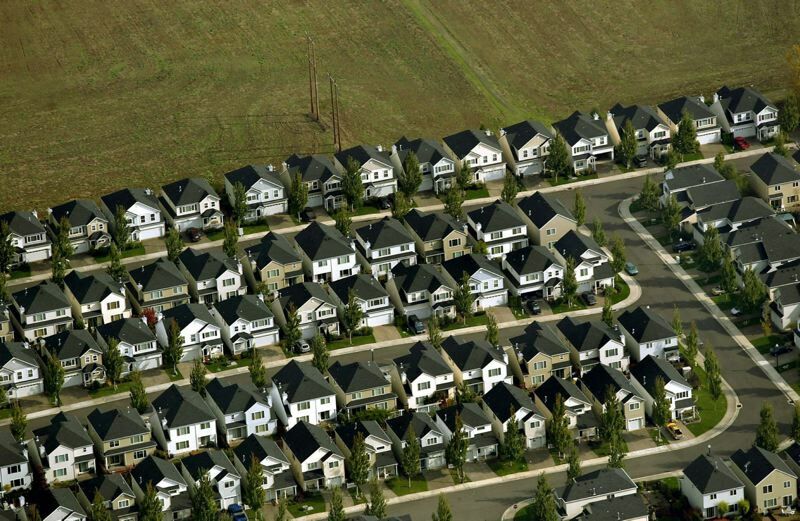 They, along with Hillsboro and Wilsonville, hope to expand and create more housing. Beaverton and King City just received the green light from the chief operating officer of the Metro regional government to move forward with plans to expand westward, creating areas for more housing. The ruling from Martha Bennett, Metro chief operating officer, was handed down today (Tuesday, Aug. 28). The recommendation now goes to Metro's elected council, which controls the urban growth boundary, the invisible barrier around Portland's suburbs beyond which urban development is not allowed. Beaverton and King City had asked for an expansion of the boundary to make room for more housing. So, too, did Hillsboro and Wilsonville. Bennett is recommending a "yes" decision for all three. "I believe that all four cities are ready to take the next steps towards getting homes built in the proposed UGB expansion areas," Bennett wrote. "These cities have demonstrated governance, infrastructure and market factors that will lead to housing development. All four cities are working to reduce barriers to development in their existing urban areas and seeking to improve their engagement with diverse communities. For those reasons, I recommend that the Metro Council expand the region's UGB in the areas proposed by these four cities." 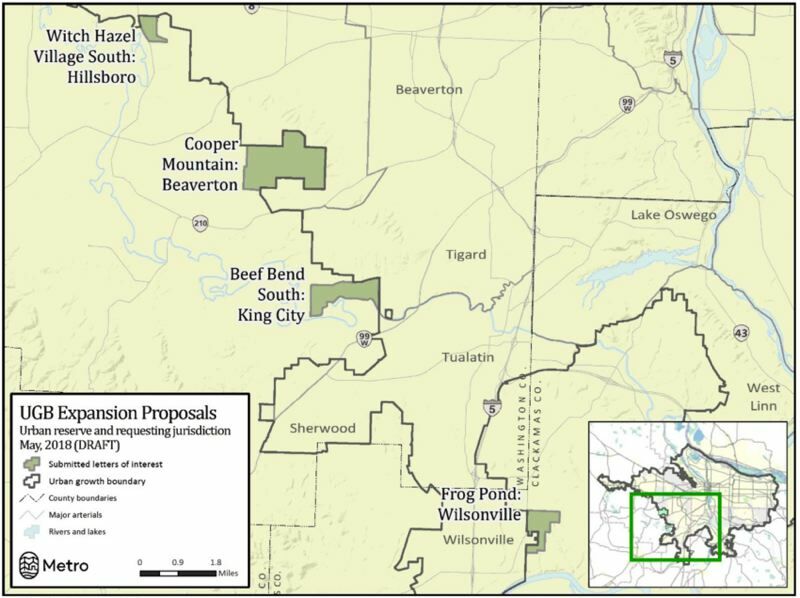 • Beaverton — Cooper Mountain: 1,232 total acres; 600 buildable acres; 3,760 homes planned. • King City — Beef Bend South: 528 total acres; 400 buildable acres; 3,300 homes planned. • Hillsboro — Witch Hazel Village South: 150 total acres; 75 buildable acres; 850 homes planned. • Wilsonville — Advance Road (Frog Pond): 271 total acres: 192 buildable acres;1,325 homes planned. funding strategies and market conditions," Bennett wrote. Beaverton Mayor Denny Doyle said he was confident that the plan would pass muster. "This is really good news but staff worked really hard for it," he said Tuesday evening. "Metro council likely will put conditions on it. That's OK. We're ready for that. We're going to do this, but we're going to do it right." The Metro council is expected to take up Bennett's recommendations Tuesday, Sept. 4.